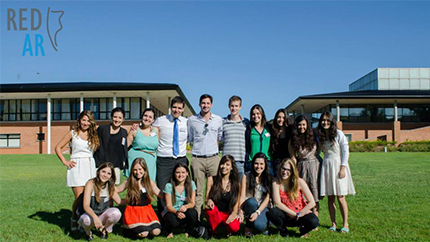 Inspired by their Youth Ambassadors exchange program, a team of Argentine alumni created REDAR (“Red Argentina”), a network of youth dedicated to volunteerism, social impact and public service. Through this network, the alumni helped other youth to design and implement their own projects, including a web platform that links families willing to assist other families in their housing needs; a mobile app that informs young voters about political issues; and an art-a-thon that aims to raise awareness about social problems through art by motivating young people to visit museums, participate in local and international festivals, and create their own art. As part of their 2014 Alumni Engagement Innovation Fund (AEIF) project, the alumni also held the first convention of the Youth Network for Public Service in February 2015. Sixty youth from across Argentina attended interactive workshops on fundraising, project planning, and strategic marketing to develop strong proposals with a social impact. The youth participants submitted eight team project proposals to a panel that selected three for funding based on feasibility, sustainability, and social significance. This convention aims to form a service culture among high school and college students by funding and promoting the implementation of projects that produce a positive impact on society and show how the public, private and NGO sectors can collaborate to promote social harmony and community development.